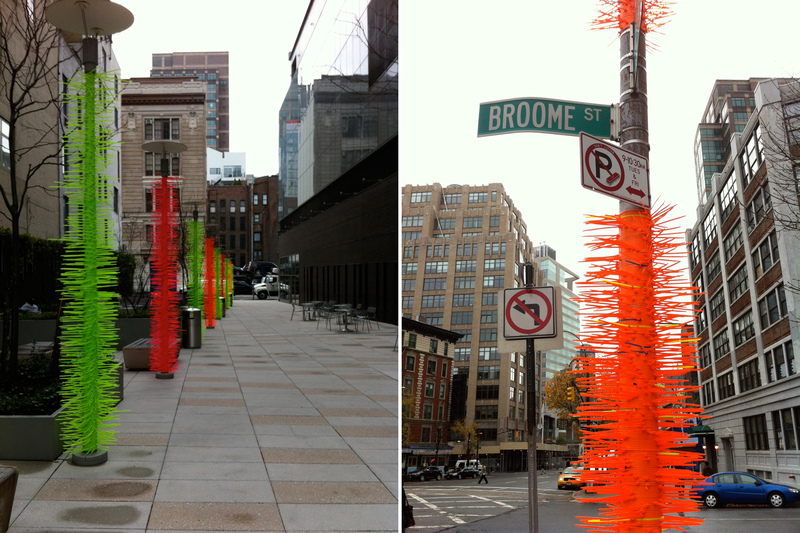 Today’s delightful use of the zip tie comes from the streets of New York city, where the NY Department of Transportation asked an art group to install these art pieces on the posts of the streets of the city. There are a lot of deep artsy meanings behind the installation, but ultimately it just looks cool, it brightens up the streets with something unique and interesting, and it makes you want to take interest, walk over, and touch it. This is not only a fantastic use of zip ties, but I think we can all agree that a government organization teaming up with some art types to use zip ties is just plain awesome. The art group the did this amazing and detailed zip tie work is Animus Art Collective, and they refer to tying zip ties on street posts as the “flaming cactus.” We can only guess at how long it took them. Depends, I suppose, on how many people they had to do the work. 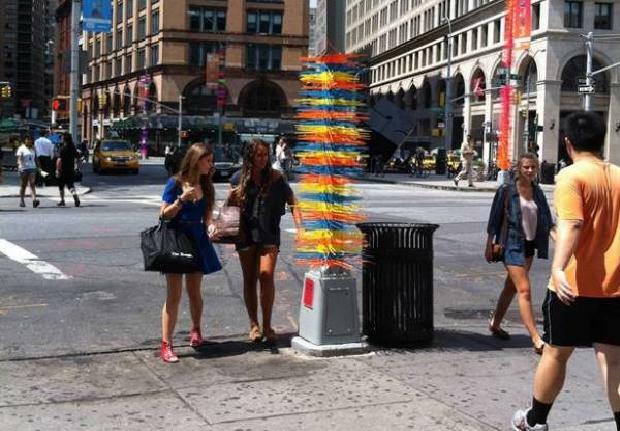 Apparently this project went over well enough that they’ve been asked by another group to do another 23 poles with their flaming cactus in the Hudson square neighborhood.